The Obama administration spent in its final year in office a record $36.2 million on lawsuits defending its refusal to turn over federal records under the Freedom of Information Act. The Obama administration also performed poorly in other categories that measure transparency in government, according to an Associated Press analysis. It set records for the outright denial of access to files, refusing to quickly respond to requests described as newsworthy, and forcing people to pay for records who had asked the government to waive search and copy fees. The Justice Department accounted for most of the $36.2 million with $12 million, followed by the Homeland Security Department with $6.3 million and the Defense Department with $4.8 million. These three departments received more than half of the total FOIA requests for the government in 2016. The millions of dollars spent in lawsuits to conceal records from public requests show the administration's struggle with President Barack Obama's pledge to be "the most transparent administration in history." The Obama administration received 788,769 FOIA requests last year and spent a record $478 million answering those requests. More than 4,000 full-time employees were hired across more than 100 federal departments and agencies to handle them. In the final year of the administration, 77 percent of those who asked for records received censored files or nothing at all. 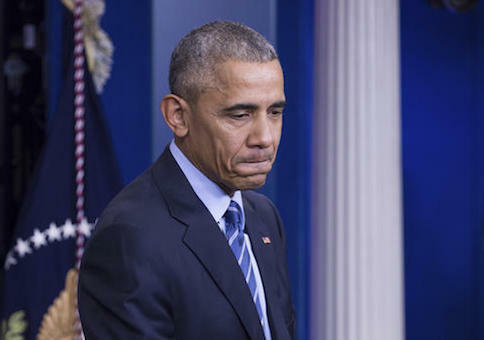 In Obama's first full year after the election, only 65 percent of the cases received censored files or nothing at all. The Obama White House defended its efforts under the Freedom of Information Act. Previous Washington Free Beacon reporting showed that the Obama administration had inflated is transparency achievements. According to the report by the Open Government Partnership, the Obama administration has made slow progress declassifying routine national security records and improving access to public documents under the Freedom of Information Act. The Obama administration claimed in a March progress report that it had completed 24 of its 26 commitments since 2011. However, according to the Open Government Partnership report the Obama administration has completed less than half of those goals, including the two examples cited above. In August 2016, then-White House spokesman Josh Earnest chastised the New York Times for not acknowledging the "unprecedented steps" the administration had taken to ensure government transparency. Earnest wrote a Letter to the Editor boasting about Obama's availability to the press and worried if the media did not praise his efforts then nobody would. President Obama, as a matter of policy, invites White House journalists to cover his formal remarks at fund-raisers, even when they are held in a private home. Previous presidents have granted, at best, intermittent access to such events. The Obama administration has also proactively released more than 180,000 data sets on a federal government website named, appropriately enough, Data.gov. This means that reporters and citizens have access to mind-boggling amounts of data–that they may not even have known existed–without having to formally request it. If journalists don't acknowledge steps that the Obama administration has taken to strengthen transparency, then who will? Leading the fight for government transparency means confronting politicians who face intense political pressure on narrow, short-term interests and pressing them to prioritize transparency, too, even when it's politically inconvenient–especially when it's politically inconvenient. In this regard, impartial journalists are advocates. Under FOIA, citizens and foreigners can request copies of federal records for zero to little cost. Information is normally provided unless it discloses information that would hurt national security, violate personal privacy, or expose business secrets. This entry was posted in Politics and tagged Barack Obama, FOIA, Obama Administration, Transparency. Bookmark the permalink.